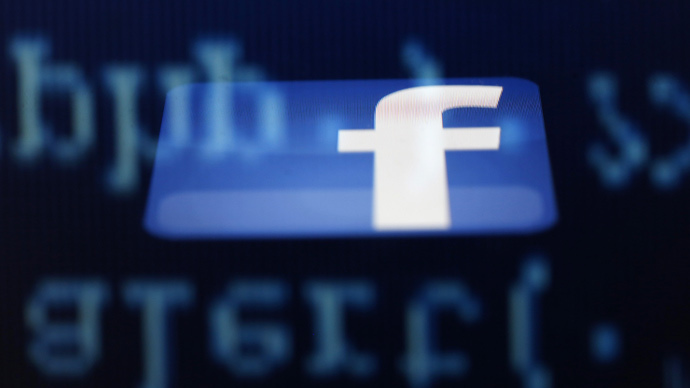 A US district judge in California has allowed a class-action suit over Facebook’s handling of online payments by minors, opening the company to complaints from hundreds of thousands of users. Two children and their parents filed the suit in April 2012, protesting Facebook’s refusal to issue refunds for online currency purchases made by the children against the parents’ knowledge or approval. Judge Beth Labson Freeman of the US District Court in San Jose, California, ruled on Tuesday that the case could be pursued as a class-action suit, but that the plaintiffs could not demand refunds as a group. According to the lawsuit, the social media service allowed children to use their parents’ credit or debit cards to buy the virtual currency Facebook Credits, but refused to issue refunds when the parents complained. Facebook allows minors to sign up if they are at least 13 years of age. “The difference between Facebook and other businesses is that the company is on actual notice of a user’s age, but treats children the same as adult users when it comes to taking their money.” J.R. Parker, a lawyer for the plaintiffs, told Reuters in a phone interview following the decision. Facebook Credits were discontinued in 2013 and replaced with Facebook Payments. The trial date has been set for October 19. The Menlo Park, California, social media behemoth has been the target of two more class-action suits in recent weeks. A $5 million complaint was brought before the same US District Court last week, with a plaintiff from Montana accusing Facebook of violating the Telephone Consumer Protection Act by sending notifications via unwanted automated text messages. While actual Facebook users can change their privacy and notification settings to stop the messages, the suit alleges that people without Facebook accounts have received the unwanted texts as well, and have no way of putting an end to them. In mid-February, one Native American activist announced she would file a class-action suit against Facebook over its 'real name' policy. A number of Native Americans have seen their accounts suspended or shut down because their names have been reported as “fake,” according to Dana Lone Hill. Dana Lone Hill, of the Lakota people a Native American Facebook shut out over reports of fake names, will head the class action lawsuit. Facebook keeps secret its system for enforcing naming rules, and successfully defended its real name policy in German courts last year. “Having people use their authentic names makes them more accountable, and also helps us root out accounts created for malicious purposes, like harassment, fraud, impersonation and hate speech,” Facebook said in a statement.